from the ytterbia of Marignac. and scandium triflate is a Lewis acid catalyst. donated to the adduct by the Lewis base. nothing to do with astrological favorability. These lively little guys swing with polymers. Dmitri Mendeleev had predicted an element with the chemical properties of scandium, and had called it ekaboron. 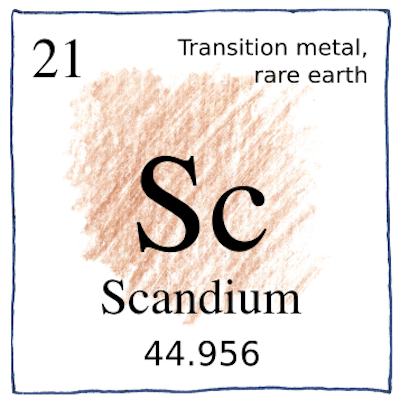 Lars Fredrik Nilson named it scandium after the Latin name for Scandinavia.